If you’re screaming at the screen saying "yes, I know what you mean; I am totally confused about who’s the best of the best!" – fear not, help is at hand. If you haven’t already heard of it, there is a nifty little website called Skytrax, which is like your TripAdvisor of the airline world: real people can leave reviews about airlines, including their experiences and woes. Of course, as with everything, you need to take some with a pinch of salt, but it is a great place to start if you're unsure. Furthermore they have awards – coveted quality accolades for the world’s airline industry. Travellers across the globe take part in the survey, creating a global benchmark of airline excellence that is widely known as the 'Passengers' Choice Awards'. 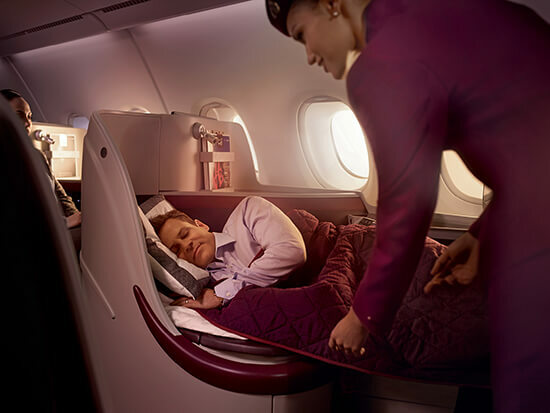 One premium airline we really recommend, Qatar Airways, is no stranger to these awards, having clinched Best Business Class in 2014 as well as recently receiving Best Business Class Airline Seat and Best Business Class Comfort Amenities for 2015. Established in 1993, the airline re-launched in 1997 as a premium airline and subsequently gained a five-star rating by Skytrax. Since then it has maintained a strong focus on its modern fleet and destination reach, spanning 140 destinations in total including popular hubs like Bangkok, Bali, Singapore, Dubai and Melbourne. 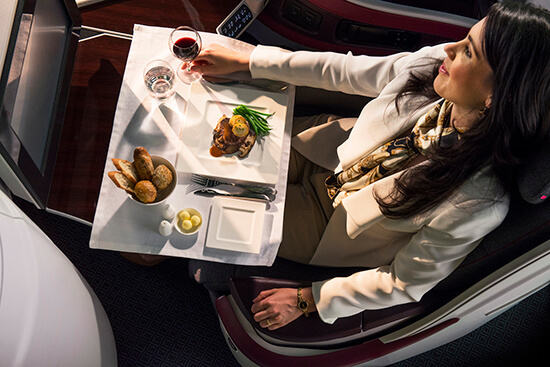 Travelling in the height of luxury, Qatar Airways' First Class cabins offer exclusive, hand-picked luxuries to complement your journey. From celebrity chef signature dishes, to Giorgio Armani amenity kits and even designers pyjama sets, Qatar Airways has luxury sorted. 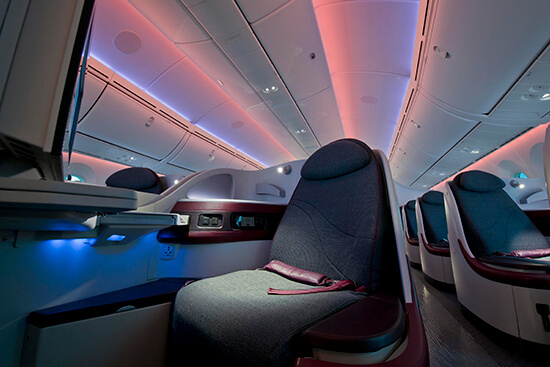 If the wallet won’t stretch to First Class, why not look at flying in their award-winning Business Class cabin. Experience the beauty of great design amid an oasis of high-tech offerings. If you’re travelling for your job, the large work surface at your Business Class seat will allow you to finalise that presentation before touching down, plus with sophisticated LED lighting to help you adjust between changing time zones, you will arrive well rested and refreshed. So when flying in a premium cabin, why not fly with the best of the best – as voted by the people, for the people? Want to fly with Qatar Airways or one of the other premium airlines we love? Speak to one of our Travel Experts today about booking your luxury flight.